What should be top of the agenda for mobile operators? A lacklustre MWC, the slow advancement of 5G and security threats galore. 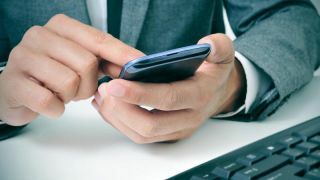 Last year, mobile operators learned the hard way that they must continuously deliver a high-quality experience in a secure connected environment to maintain subscriber trust. Mobile and IoT security threats are steadily creeping into the limelight, and service providers are beginning to take ownership of their role as guardians of the network. So what will spring bring for mobile operators? Network efficiency and virtualisation, vital to today’s mobile and the digital economy, are at the forefront of everyone’s minds; good news for telcos who are helping spearhead these innovations. The industry will be forever changed by the recent Net Neutrality ruling in the US, the slow and steady rise of the IoT and the buzz around blockchain. There are good reasons to stay optimistic for the rest of the year. Here are five critical technology and telecoms trends that mobile operators should prioritise in the coming months. With its rapid development in image and speech recognition and deep learning capabilities, AI is being integrated into entertainment, education, retail, telecoms and a growing number of other industries. Deloitte predicts that implementations and pilot projects will increase by 100 per cent compared to 2017. AI will become an essential part of the telecoms business – especially machine learning in network traffic management. If machine learning and AI are still far from widespread adoption, they are in the midst of their third stage of rapid development. In the coming months, machine learning will be used to transform the telecoms space by providing granular visibility on the network and better bandwidth management and will also allow service providers to dedicate network capacity for end users, for video streaming for example. AI will also enable to detect hazardous activity on the network and being able to mitigate attacks. However with the rising number of encrypted apps, it will become harder to maintain granular visibility of the network usage which will make it harder for service providers to recognise issues such as latency in video streaming and this will thus increase the difficulty of optimising bandwidth use. Nevertheless, the efficacy of network-based detection processes aided by machine learning will improve over time. This week, the UK government announced measures to encourage IoT device manufacturers to clamp down on built-in security, which was a welcome move. Analyst firm Gartner estimates that by 2020 there will more than 26 billion connected devices, making an attractive proposition for would-be hackers – so service providers should act fast. As IoT device manufacturers continue to prioritise time to market over security measures, network providers without granular network visibility will be insensibly vulnerable. To avoid “doomsday” attacks, service providers must ensure the resilience and safety of consumers and businesses. Thus it is crucial that these devices also be secured from within the network. Blockchain capabilities can, and will in the coming months, reach far beyond cryptocurrency. Its permission-less and open-source nature along with the bitcoin governance’s improving will enable it to maintain and grow its popularity. Its distributed network and immutable ledger technology will have the potential to fundamentally re-wire how online services are used. Banks will be able to be the stewards of digital identity, the insurance and healthcare data industry will also benefit from it, just as the cybersecurity industry. Nonetheless, as blockchain's popularity rises, so will criminal activities related to it. This was demonstrated by the recent hacking of thousands of public websites, among which was the HNS or the theft of bitcoins in South Korea or in Russia where the equivalent of $70 million in bitcoin currency was stolen. McAfee’s Threat Report revealed that new mobile malware jumped by 60 percent in Q3 2017, fuelled by a significant increase in Android screen locking ransomware. As a result, both consumers and enterprises will increasingly expect and demand more proactive protection across the entire network connectivity chain. Service providers will be expected to respond to rising expectations for effective “built-in” security, with wide-ranging technical and operational innovations. This year, the mobile security landscape will transform itself moving from an app-based mobile security model to network-based security provided by the service provider as demonstrated by a recent study conducted by Allot. The desire for greater security will be an excellent opportunity for service providers to offer value-add, differentiate, increase brand loyalty and reduce churn if they embrace the need. The recent Net Neutrality ruling will change how we access the internet forever. Supporters of the change argue that broadband providers will have stronger incentives to build networks, especially in unserved areas, and to upgrade networks to gigabit speeds and 5G. Opposers, whether analysts, activists and researchers – strongly disagree. In theory, competition among ISPs should prevent limiting, discriminatory practices but without net neutrality ISPs will be free to speed up, slow down or block websites based on their own commercial considerations. In 2018, this could be problematic for startups hoping to be the next Airbnb as they won’t have the funds or influence to pay for faster content delivery. Additionally, there’s a concern traffic prioritisation charges would be passed onto the consumer through monthly subscriptions such as Netflix, but it’s too early to say. To look on the notable upside, if every ISP is free to create flexible, tailored service bundles, the industry could experience a surge of innovation as service providers compete more creatively to win customer loyalty. Will service providers favour their own services, strike deals with content providers that effectively box out smaller competitors or create a wealth of tailored, low-cost service bundles that match each consumer’s needs? Nobody knows, but let’s hope consumers aren’t left to fend for themselves. The debate over whether telcos should be allowed to prioritise data will rage on. What is clear is that ISPs will need powerful and agile real-time, inline traffic analytics and traffic management, in addition to flexible policy control and charging to identify traffic, applications, websites and subscribers, and to match them with the applicable service packages. Over the coming year, analysts will be able to assess if these forecasts were right. Some governments, including the UK already begun to take steps into the IoT sector, but have left industry experts wondering about just how many steps need to be taken to deter manufacturers from cutting security corners; making network security solutions more important than ever. While more real-world 5G examples should make it to the headlines, the only certitude that will emerge in the coming months from across the industry is that disruption will create winners and losers. Crucially, many will be defined by the strength of their security.